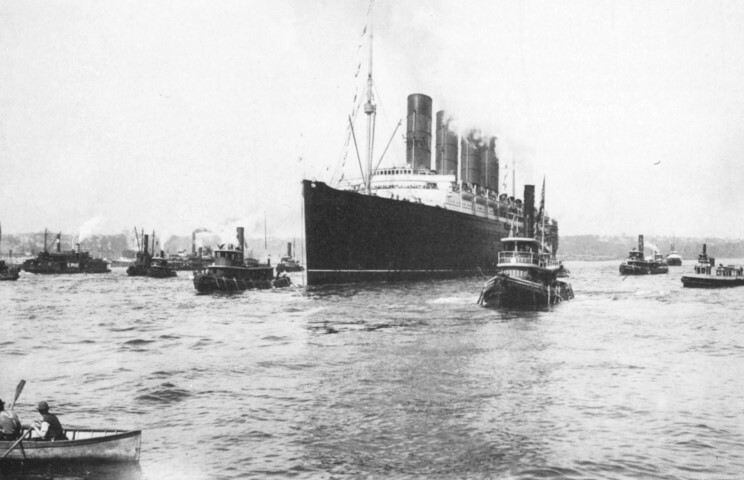 September 13, 1907: Lusitania arriving in New York on her maiden voyage. September 13, 1907: Lusitania docked at Pier 54 in New York on her maiden voyage. 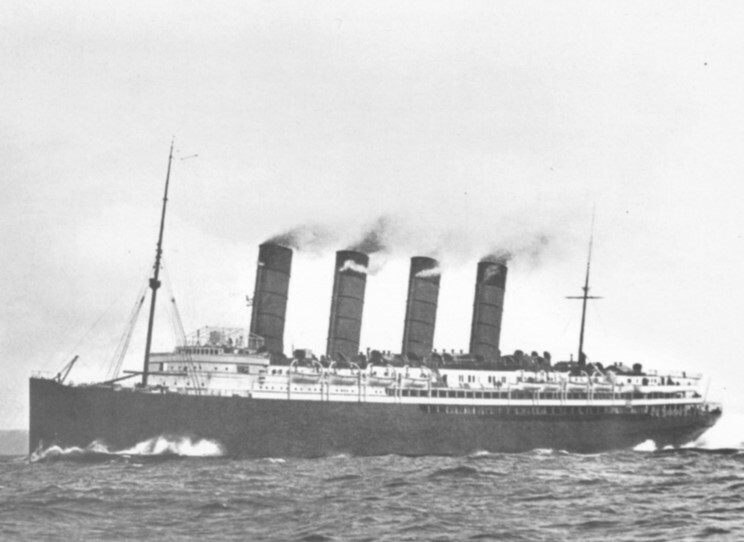 Lusitania at speed off the Old Head of Kinsale in 1911. This photo was taken near the spot where she would be sunk four years later.